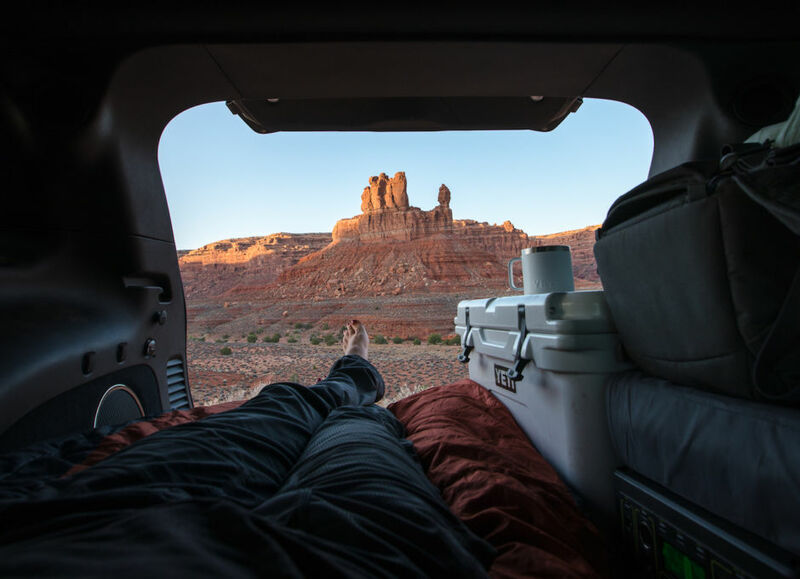 Whether you’re road tripping, backpacking, or camping, there’s nothing better than finding one of those unreal campsites that has both views and solitude — and the western states in the USA are ripe with them. It reminds us of how epic our planet is, gives us space to breathe and rest, and maybe offers a sweet Instagram photo (or ten). I’ve been fortunate to have camped all over the US and a number of places in the west have won my heart and stolen more than a few frames from my camera. These spots are so magical that it’s only natural to become protective of them. There are a number of simple ways we can preserve these areas — not only for the sake of the planet, but for ourselves and the generations to come. 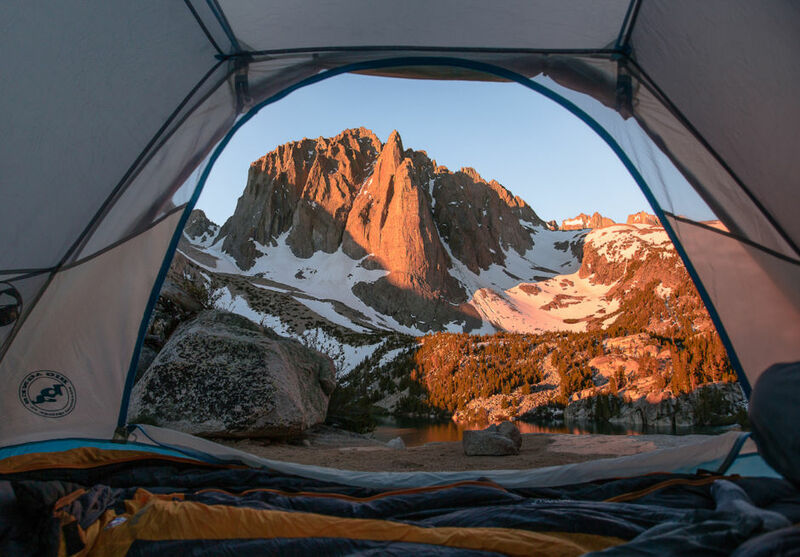 Can you imagine opening up your tent to this view of Temple Crag? 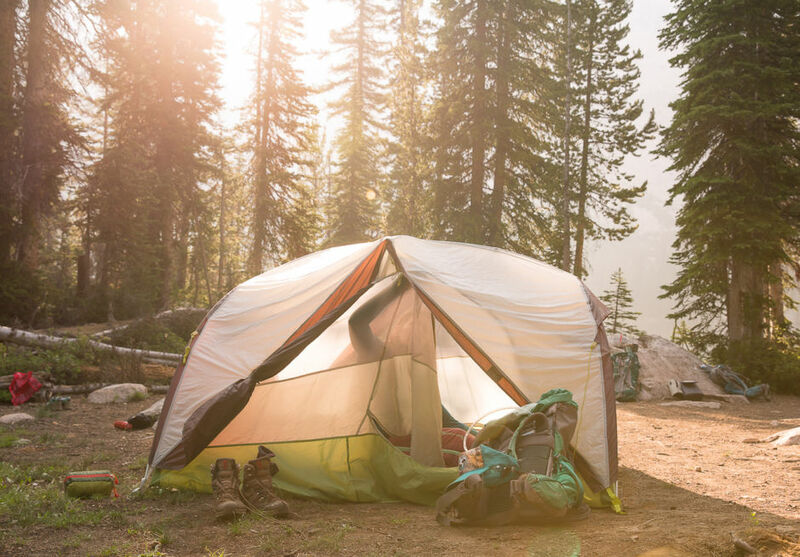 From jagged peaks to sparkling alpine lakes, it’s easy to see why the eastern Sierra - which includes the famous John Muir Wilderness - is a prime camping destination. Sadly, on recent visits I’ve seen increasing “fire scars” popping up here (charred earth). Did you know fires aren’t allowed above 9,600 feet in this area? There are other rules it seems a lot of folks don’t know: you need permits to camp here, and you must use a bear can for food storage. For fires, I’ve found that the best approach is dismantling any sort of fire ring, and if you see someone burning a fire, politely let them know that fires are not allowed and that rangers will cite those in violation of this rule. Beyond getting slapped with a fine, the bigger issue is that it takes alpine ecosystems a lot longer to recover from the effects of even a well-managed campfire. You can’t camp on the dunes, but you can pitch your tent right next to them. There’s truly nothing else like being able to walk onto a sea of white sand after your morning coffee. 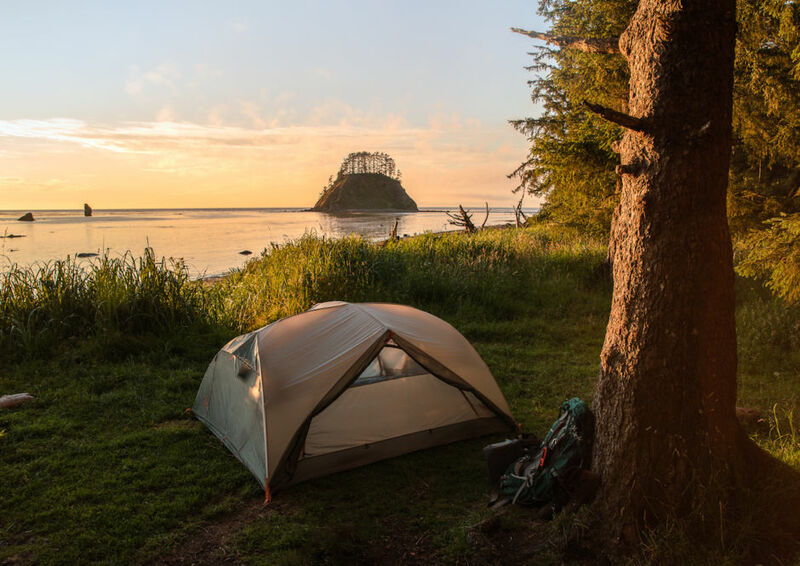 While you do need a permit, it’s less than a mile walk to any one of the 10 designated backcountry camping spots, so you’ll have plenty of privacy. 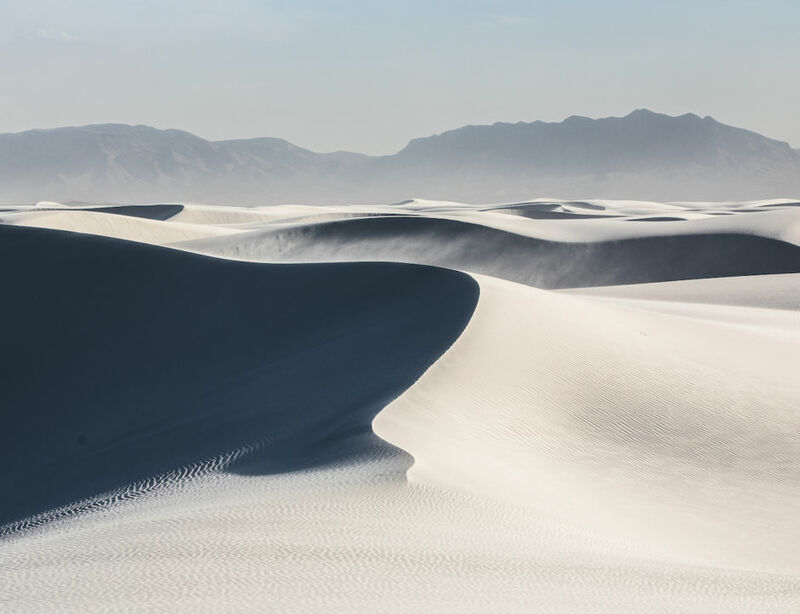 Leave No Trace came out with their new social media guidelines this past spring, one of which encourages people to be “mindful of what their images portray,” especially when shared publicly on apps like Instagram. While staging a camp photo (either physically or via Photoshop) may seem like a fun way to get a dream shot, it sends the wrong message out to others. Photos of tents on the dunes could encourage others to do the same, so it’s worth mentioning when you post if a shot is actually allowed or not. Trust me, getting to camp just steps away from the dunes is still an incredible experience, and I plan on coming back every year for the rest of my life. In my opinion, beach camping is the best camping. You’re lulled to sleep by the sound of waves hitting the shore, sunsets seldom disappoint and there aren’t usually any biting bugs. This spot, on the Olympic Peninsula, offers you a view of sea stacks and the rugged coast. Not only are permits easy to obtain but the hike to get here is a flat three(ish) miles. While the sites are secluded, you’ll be sharing the area with other campers, so leaving it better than you found it not only makes the next person’s experience more enjoyable - it’s good for our beautiful planet, too. This is hands down one of my favorite places to car camp ever. There are an abundance of perfectly spaced-out sites for both tents and RVs, and Alabama Hills is just 20 minutes away from the charming town of Lone Pine. 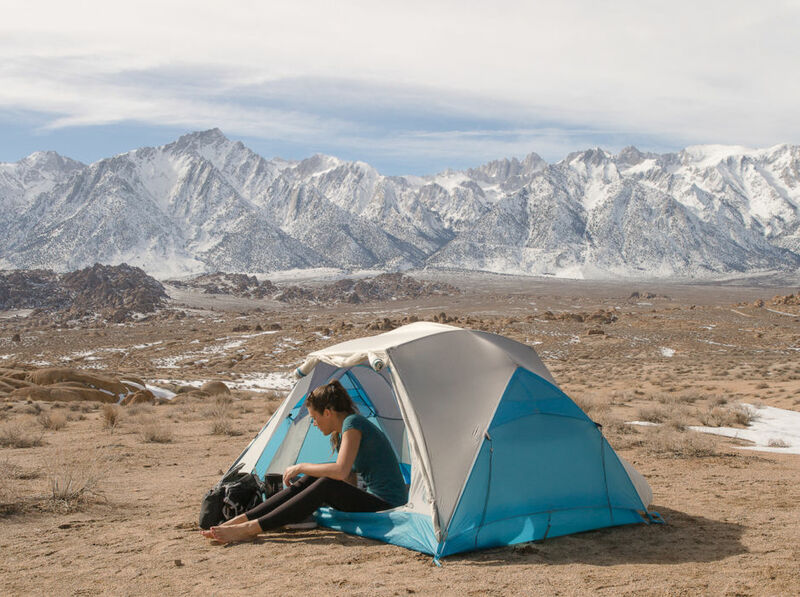 But I’ve also witnessed firsthand an influx in “Insta-campers,” who seem to be picking destinations from cool geotags and heading off with no consideration for the rules of the place - especially car camping in spots like Alabama Hills. It’s now too easy to see exactly where a cool photo is, and take off on a moment’s notice with no care to how to visit it properly or a sense of responsibility. For this reason, I no longer geotag on Instagram, with the hope that it will offer some of the more popular places a break from the constant exposure they receive from social media in real life. While I’m all for inspiring others to get outside and explore, I can’t always be sure who will see my posts on Instagram -- and who might behave irresponsibly when they visit. I encourage others to take the same approach, and think about the long-term actions of a tag that could reach millions of people on social media. 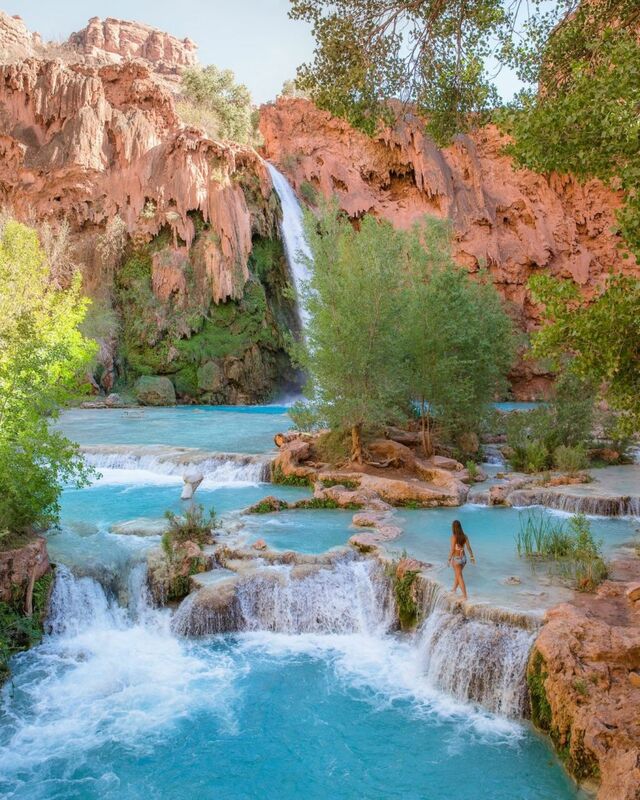 The first time you see Havasupai Falls and the color of the water, you’ll wonder how something so beautiful could actually be real. It’s absolutely astounding. While there are numerous photos on social media with that oh-so-perfect tent shot of the falls, those are actually day-use areas and the only legal places to camp are next to trees or across from the creek. For this reason, I did not include a camping photo here. Tent shots are fun but as with geo-tagging, people get the wrong idea and believe they can set up a tent where they can’t. Additionally, you also can’t access this spot, which is on tribal land, unless you have a permit. Permits help minimize the impact on the land and ensure that everyone, whether it’s the Native Americans who live there or visitors, have the best experience they can. If you want to show your love for a place like Havasupai (or anywhere that has a strict permit process), follow the same protocol as everyone else when it comes to entry. When you finally do get your hands on a coveted permit, it’s like winning the lottery! While National Parks like Arches and Canyonlands are some of Utah’s biggest attractions, Bears Ears National Monument has received a fair amount of attention over the years since the designation and the announcement of proposed reductions. As far as desert landscapes, it’s another of my favorite places to car camp, as evident from this shot, which was taken out of the back of my Jeep. In addition to pretty vast views, there are some incredible Native American historical sites in the area as well. Some of the ancient rock art needs a little bit of extra love, and merely sticking to Leave No Trace’s seven principles isn’t enough (which, if you don’t know them, learn them!). The Bears Ears Education Center offers all kinds of resources for exploring these sensitive areas with care, and they have a number of notes on their website as well. Furthermore, if we want to enjoy these places for years to come, it’s also important to be aware of what the government plans to do if the monument is reduced. The latest plans were released in August, and the Bureau of Land Management is currently accepting comments on the changes, so if you care about killer camp views and cultural sites, feel free to shoot them an email and let them know how much you value these areas. The towering rock walls and the soothing river sounds make this a unique camping spot, which I would love to visit again. You need a permit to stay here, but they’re relatively easy to obtain the day before you’re looking to hike in. 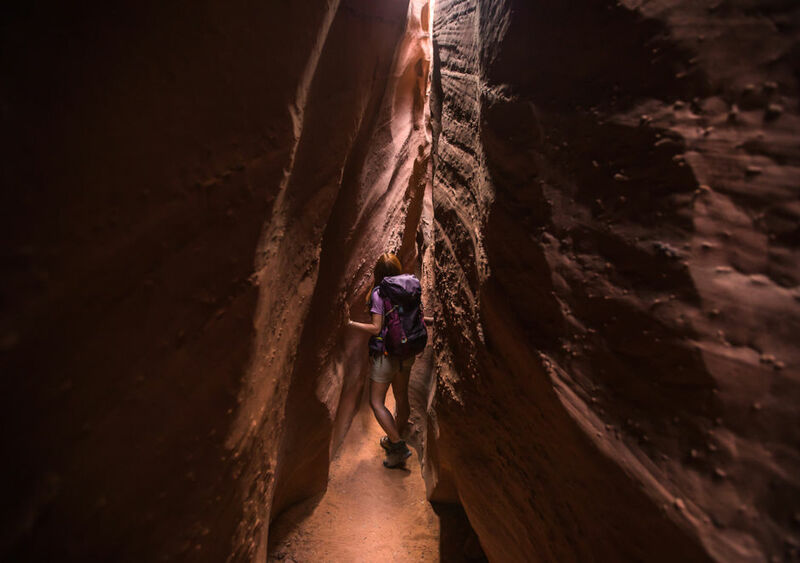 Like Bears Ears, Escalante is under threat of being reduced, and a number of land parcels are in danger of being sold off to oil, gas, and coal companies; these land sales would affect some of the very popular slot canyons in the monument, among other areas. The updated proposed reduction notes were released in August. You can click here to submit a comment until November 15th, 2018. Additionally, be sure to not only vote this fall, but do a little bit of research on the candidates running for office. The Outdoor Industry Association has all kinds of information on their Vote the Outdoors page, and I believe using social media to spread this message is equally important. Idaho has gorgeous mountains, lakes, and forests, and there are so many places to camp in the Sawtooth National Forest that it would be impossible to pick even five favorites. I find that the best way to nab rad camp spots is to check in with local forest service offices on arrival and ask what they suggest. I’ve been able to find a number of gorgeous sites this way. While many of these areas are a bit more primitive and off the grid, it’s still important to be mindful of impact (camping on flat, durable surfaces that have already been used, for one), and picking up trash - even if you didn’t leave it there. Leave No Trace is a principal not just for what you bring in, but for whatever you leave behind - which may lead you to have some of these rants yourself on social media, as you fall in love with these places and want to see them cared for and protected.